We're created strategic alliances with industry leaders & visionaries who share our passion for creating a modern & fully self-sustainable future for development and everyday living - a responsibly-built world that will reverse global warming, and . Together, we work to develop and deliver the unique organic technology that powers Grow products, the technology that will power the future of our civilization. Ore was founded by Brooklyn-based designer Thomas Kosbau in 2009 with the philosophy that creative potentials in current scientific research and the natural world can be synthesized into architectural and industrial design solutions. Our current projects range from the DeKalb Market, a pop-up retail concept constructed of salvaged shipping containers, to the Riverpark Farm, New York City's first portable rooftop farm, to a bio-mimetic cactus that harvests drinking water from the air. The Zahn Center for Technological Innovation is an incubator that supports San Diego State University innovators and aspiring entrepreneurs—students, faculty and staff from any department on campus—as they transform their ideas into companies. 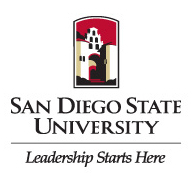 The Zahn Center works in conjunction with SDSU’s College of Business Administration and Lavin Entrepreneurship Center to provide mentorship, business acumen, engineering services, and community connections needed to help start-ups develop new products and launch new businesses.